Few have heard of it and even fewer have seen it, but the wiliji (Petrogale Iateralis) is very much on WWF's radar. This black-flanked rock-wallaby, listed as endangered in Western Australia, is found in only three isolated ranges of the west Kimberley, in northern Australia. A population once thought to be 2,500 strong has plummeted to an estimated 200-300, and this gorgeous creature could easily become extinct within a decade. WWF’s assessments support uplisting this west Kimberley race of black-flanked rock-wallaby to critically endangered. But the Traditional Owners of this region, the Nyikina Mangala people, recall a time when the wiliji was more plentiful on the cliffs and escarpments of the homelands they share. A time before the arrival of feral cats and foxes, and the livestock that compete for food, and the indiscriminate wildfires that can degrade the wiliji's restricted habitat. So, who better to help protect the wiliji than those who know its lands best? Since 2011 we've been working with Nyikina Mangala Rangers to give the wiliji every chance of survival in the Grant, Edgar and Erskine ranges. Our surveys of this remote country are providing vital information on the three distinct wiliji populations, and remote-sensing cameras are capturing never-before-seen images of this rare animal. Like the four other subspecies of black-flanked rock-wallaby, the wiliji is secretive and usually only emerges from the safety of its rocky refuge at night to dine on nearby vegetation. By conducting controlled burns early in the dry season, Nyikina Mangala Rangers are keeping fuel loads down and protecting the wiliji's larder from the more destructive wildfires that can ignite late in the season. Soon we'll also be embarking on ground-breaking research to discover what specific plants wiliji eat, so that we can be even more targeted in our recovery efforts. Bringing the wiliji back from the brink is going to demand a herculean effort. 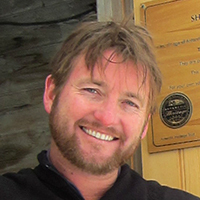 On the Grant Range, fewer than 20 individuals have been recorded; and the three disparate colonies on the Edgar range consist of less than 10 individuals each. Even the largest population, on the Erskine Range, is thought to number just 100 wallabies. But out of sight is definitely not out of mind. By combining age-old local knowledge and expertise with modern technology, we hope to protect the wiliji for generations to come. WWF-Australia thanks the significant support of many organisations with respect to our work on wiliji, including the Walalakoo Aboriginal Corporation and the Kimberley Land Council. Our work would not be possible without the financial support of Lotterywest, the Department of Parks and Wildlife and Rangelands NRM. The black-flanked rock-wallaby is threatened by fox and feral cat predation, habitat destruction, and competition for food and shelter. 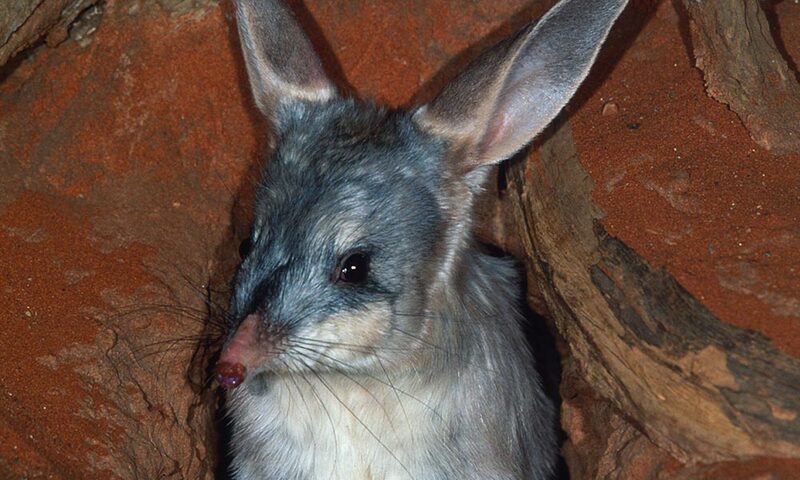 WWF-Australia is combatting growing threats to bilby populations by joining forces with Indigenous Rangers to conduct surveys and map habitat.